A young woman has told how she lost seven stone in a year - after she was humiliated at a dress fitting for a sumptuous Asian wedding. 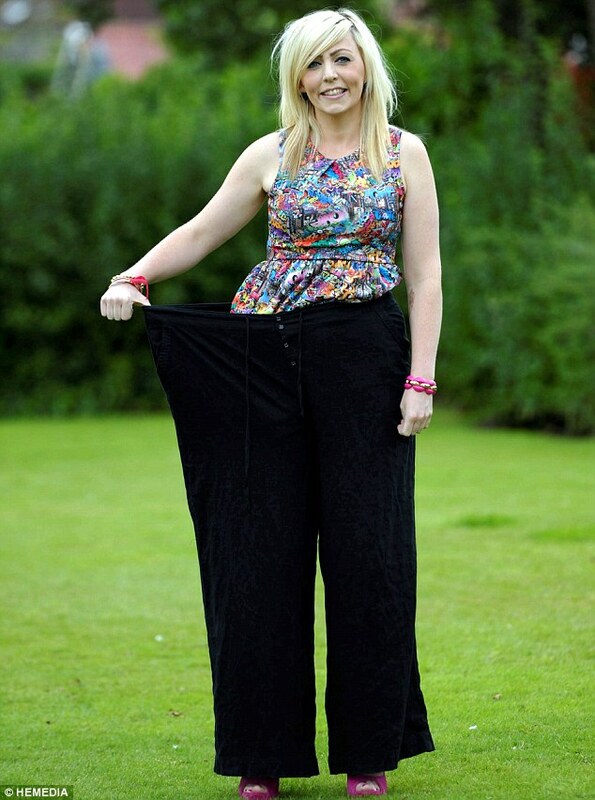 Emma Monaghan, 27, tipped the scales at 18st 5lbs thanks to a diet of fast food, crisps and chocolate. But after she was left red-faced at a special dress fitting for a friend's wedding she joined her local Slimming World group and ditched her unhealthy diet. Emma had previously lost three stone in three months with Slimming World before she fell pregnant with daughter Faith, who is now two, and decided to quit. 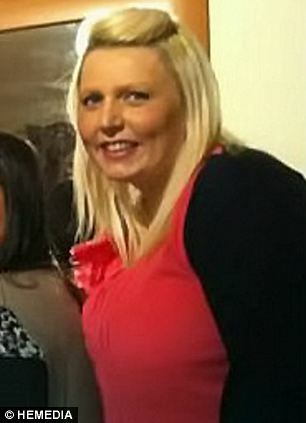 Emma then started to binge on a diet of sugary cereals, crisps, biscuits and ate up to five takeaways every week. She never did any exercise and admits that she refused to walk even the shortest distances, choosing to take the car instead. As her weight increased, Emma found it had a damaging effect on her social life. Emma said: 'My mum used to tell me takeaways were a waste of money and unhealthy but I didn't care. 'I became lethargic and I didn't do any exercise whatsoever. 'I used to take the car everywhere and at the supermarket I would try to park as close to the door as possible. 'If someone invited me on a night out I would try to avoid going because I knew all the "skinny" girls would be there so I would make up excuses. 'I didn't want to go anywhere being that size, I had no confidence. 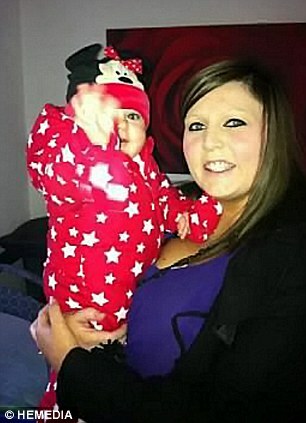 'My daughter was nine months old and she had started crawling. After her embarrassing dress-fitting experience, Emma was shocked into action and she returned to the group in a bid to get rid of her excess weight once and for all. She swapped crisps and chocolate for fruit and yoghurt and quickly began to reap the benefits. For the first six months, Emma lost weight simply by following her eating plan but now attends boot camp and the gym three times a week. She added: 'Now I'll walk to the shops with the buggy rather than take the car. 'I always wanted to be able to run but I never could. I went to the gym and built it up. Other members of the group were so impressed by her transformation that they named her Woman of the Year, Miss Slinky and the Greatest Loser. Emma became so passionate about her weight loss that she is now inspiring others to slim down - after becoming a consultant with Slimming World. She said: 'I decided to become a consultant because I have been there and done it. 'I know how hard it is to lose weight and how much my life has turned around since I did.